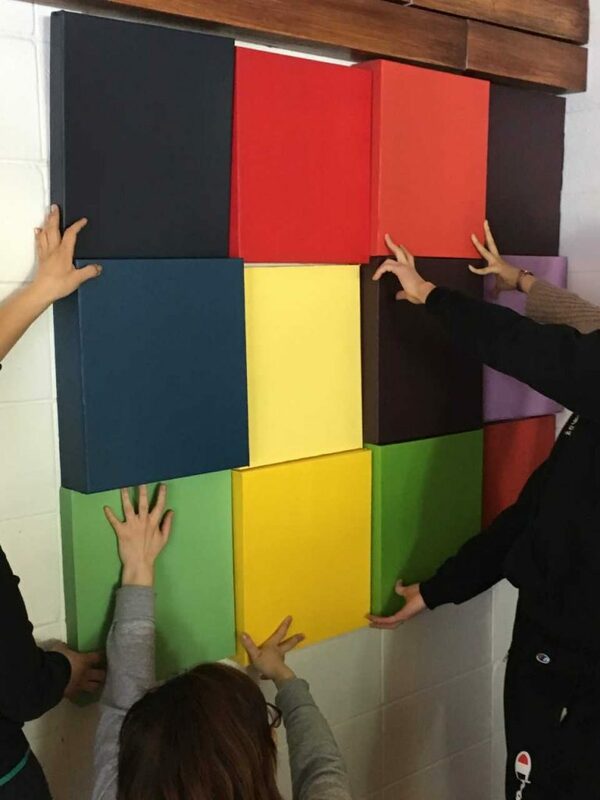 During their Promotional Space Design competency, NOVA’s students from the Interior Decorating and Visual Display program (group S18D) had the opportunity to design an exciting space! Starting in the Fall, NOVA has been proud to offer it’s students a second location for its free breakfast program, organized and maintained by our loyal NOVA staff. 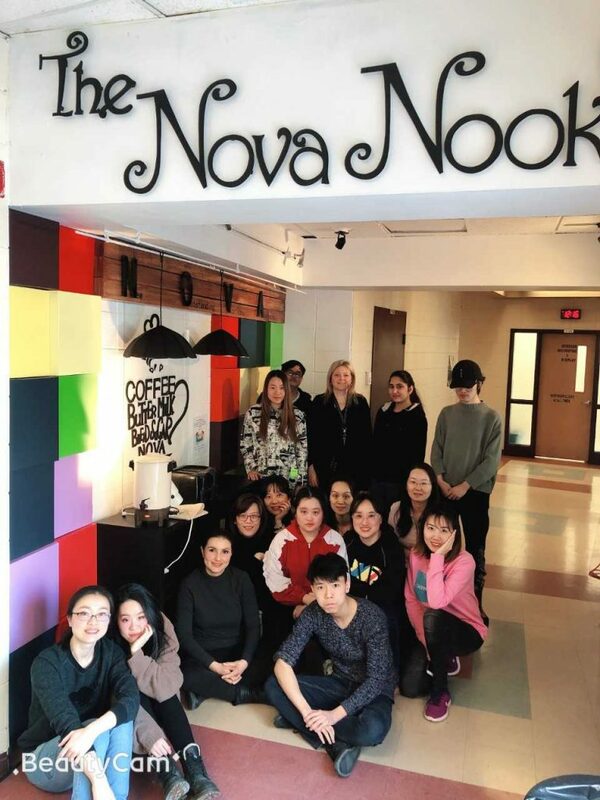 This March, Shelley McGowan (teacher) and her creative students officially redesigned the hallway alcove into, ‘The Nova Nook’. The permanent home for our breakfast program. 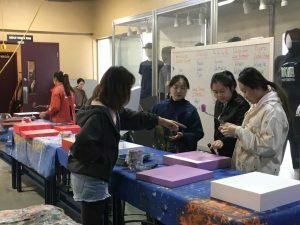 During this class project, students had the opportunity to learn many techniques while working with different tools used in the visual display industry. 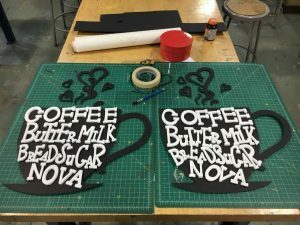 They designed, built and painted a large number of decor props with the guidance of their teacher. 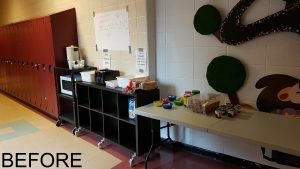 Once the installation and final touches were completed by the group, The Nova Nook was officially open for everyone’s breakfast needs. Coffee, Butter, Milk, Bread, Sugar, and a touch of NOVA!